USC chemists describe their bold research in sustainable energy storage solutions to help meet the world’s ever-growing energy demands. Assistant Professor Smaranda Marinescu has received the prestigious 2019 Alfred P. Sloan Research Fellowship for her achievements in the design, synthesis, and study of inorganic materials for applications to solar energy conversion. The two-year, $70,000 fellowships honor 126 early career scientists and scholars for distinguished performance and the potential to make substantial contributions to their fields. Marinescu is one of four USC awardees this year. Copper-based organic light-emitting diodes developed by Professor Mark Thompson and collaborators provide a cost-efficient alternative to iridium-based diodes used to light up smartphone and TV screens. Otto Schnepp, a prominent molecular spectroscopist who joined the Department of Chemistry in 1965 died Jan. 2 at age 93. "Professor Schnepp played a major role in the growth of the Department of Chemistry at USC beginning in the 1960s, and will be greatly missed," said Surya Prakash, department chair. 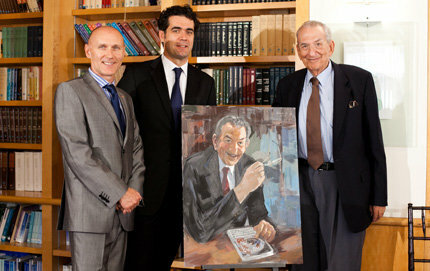 Professor Schnepp was instrumental in the department’s hiring of Noble laureate Arieh Warshel in 1976 and served as department chair for several years beginning in 1989. 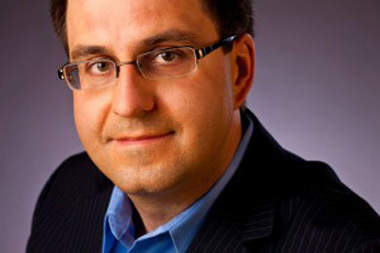 Born in Vienna, Austria, Schnepp attended college in Shanghai, China, was fluent in five languages and served as science attaché at the U.S. Embassy in Beijing in the early 1980s. USC Chemistry is ranked a top program for veterans by College Factual, an "outcome-based" college-search website. USC placed in the top ten percent nationally among 435 colleges and universities, based on factors including affordability, quality, resources and satisfaction among veterans. A leader, in the lab, the classroom and on the field, Megan Fieser is a talented and passionate role model for women in STEM. Reflecting their respective stellar achievements in research, teaching and mentoring, Peter Qin and Travis Williams have been promoted from associate to full professors. Qin probes physical chemistry and biochemistry with a focus on understanding the structure and function relationships of nucleic acids using site-directed spin labeling (SDSL). The Williams group explores organic and organometallic chemistry approaches to hydride manipulation and chemical probes for biology and medicine. Professor Jahan Dawlaty is a physical chemist in search of new or deeper understanding of chemical problems and is known as a committed mentor to students. Professor Oleg Prezhdo researches tiny crystals that could be the key to more affordable and scalable solar energy. Using a quantum sensing technique that leverages imperfections in diamonds, an international team of researchers including chemistry professor Peter Qin has reported the magnetic resonance measurement of individual DNA molecules at ambient temperatures in liquid for the first time. The team’s work, led by Professor Jiangfeng Du from the University of Science and Technology of China, has been published in the September 2018 issue of Nature Methods. The work opens new avenues to study biomolecules and understand mechanisms of life processes and human disease. The Agilent Center of Excellence in Biomolecular Characterization will promote early research leading to science innovation and breakthroughs, said Chemistry Professor and USC Dornsife Divisional Dean of Natural Sciences and Mathematics Stephen Bradforth at the center's dedication at Michelson Hall. The department enthusiastically welcomes Associate Professor (teaching) Jasmine Bryant, who will teach undergraduate courses including Chem 103 and 105b starting this fall semester. Dr. Bryant comes from the University of Washington, where she has served as a lecturer and senior lecturer in the Department of Chemistry since 2011 and in 2002 received her Ph. D. in inorganic chemistry with advisor Prof. James Mayer. Dr. Bryant has received several prestigious teaching awards at UW, including the Distinguished Teaching Award for Innovation with Technology. Prior to 2011, she served as Director of Communications and IT Project Manager at UW’s NSF Center for Enabling New Technologies through Catalysis. The Department of Chemistry cordially welcomes a diverse group of new students, 23 women and 18 men, from home countries including the United States, China, Germany, Great Britain, India, Iran, Jamaica, Mexico, Rwanda, Taiwan, Turkey and Vietnam. Students will spend the fall semester rotating among research groups within areas of interest before selecting faculty advisors and joining specific labs for the duration of their PhD programs. Seventeen graduates in Chemistry received their ceremonial hoods at the 2018 USC Dornsife College of Letters, Arts and Sciences Ph.D. Hooding Ceremony on May 10. During the festive celebration at Cromwell Field on University Park Campus, each candidate’s dissertation committee chair presented the hood, a symbol of the Ph.D. (Doctor of Philosophy) degree. The Department hosted a lunch reception afterward for graduates, faculty, family and friends. Ryan Lopez has been awarded the Order of the Laurel and the Palm, the highest honor accorded to graduating seniors for excellence in leadership, scholarship and service. Lopez, also a research assistant in Professor Sri Narayan's group, is one of just ten Trojans to receive the award in 2018, presented by President C.L. Max Nikias and the Division of Student Affairs. 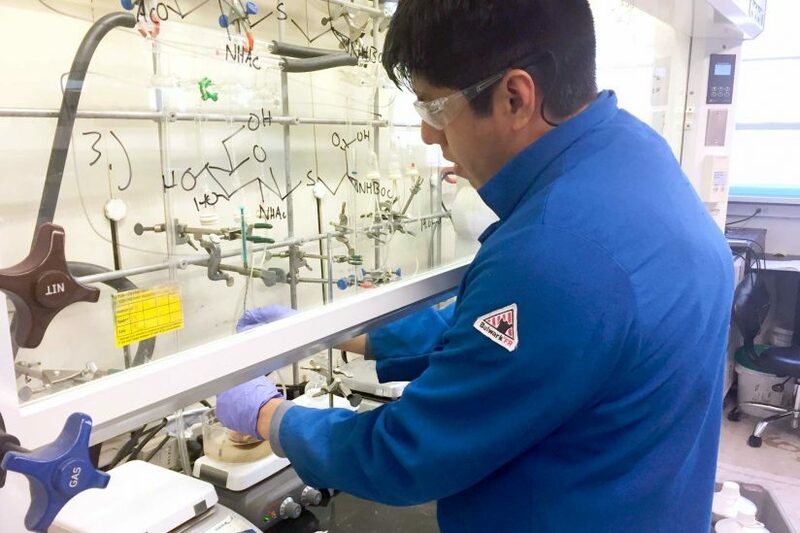 USC mentoring and lots of hard work helped 2018 Chemistry graduate Ryan Lopez achieve success as a first-generation college graduate from South Los Angeles. 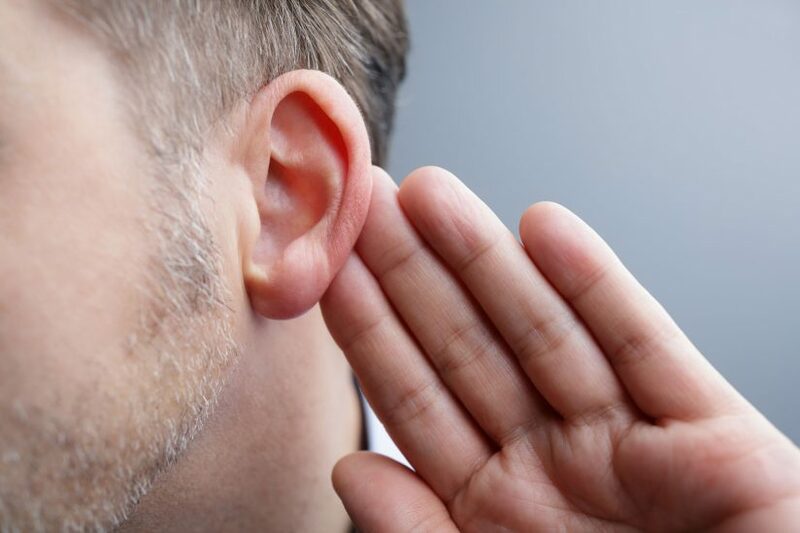 Professor Charles McKenna is leading a collaboration with Dr. David Jung at Harvard Medical School to create a novel drug-delivery approach to repair damaged nerves and cells implicated in hearing loss. The project is part of USC’s Core Center of Excellence for Drug Discovery program at the USC Michelson Center for Convergent Bioscience. We would like to congratulate both Professors Richard Brutchey and Matthew Pratt for being recognized with the 2018 USC Mentoring Awards. Richard is being honored for Faculty Mentoring in the Undergraduate Category and Matt for the Graduate Category. They will be recognized by the Provost in a Special Function on Wednesday, May 2, 2018.
we are delighted to inform you that four of our Junior Faculty members have been promoted. Jahan Dawlaty, Brent Melot and Chao Zhang were promoted with Tenure to the Associate Professor Rank. Rebecca Broyer, our teaching faculty, has been promoted as an Associate Professor (Teaching). Congratulations to these colleagues on their promotions and their outstanding contributions to our department. Chemistry Ph.D. student Betsy Melenbrink works as part of a U.S.-African graduate student team to design and build an inexpensive, eco-friendly electrochemistry teaching module. Ariel Nessl (advisors: Benderskii/Melot) and Bianca Espinosa (advisor: Chao Zhang) have been named the 2018 National Science Foundation Graduate Research Fellows. Geovanni Rangel (advisor: Smaranda Marinescu) also received an honorary mention. Green Ahn, an undergradaute Biochemistry major, who did research with Hanna Reisler, and is now at Stanford University also received an NSF Fellowship. Congratulations are in order to all of these students for their outstanding recognitions by NSF. Arieh Warshel, Nobel laureate, Distinguished Professor in Chemistry and Biochemistry, holder of the Dana and David Dornsife Chair in Chemistry, will join other outstanding luminaries on May 12, to receive a 2018 Ellis Island Medal of Honor from the National Ethnic Coalition of Organizations (NECO). The Ellis Island Medal of Honor commends a select group of individuals whose achievements and exceptional service to our nation embody the American spirit in their patriotism, tolerance, brotherhood and diversity, and is among the nation’s most celebrated awards. The U.S. Senate and House of Representatives have officially recognized the Ellis Island Medals of Honor, and each year the recipients are listed in the Congressional Record. We are delighted to let you know that Professor Anna Krylov has received the highly competitive 2018 Simons Fellowship in Mathematics and Physical Sciences. The award lets Anna to have a paid one semester sabbatical. Let us all congratulate Anna on this signal honor. Chemistry Professor Fabien Pinaud and his research group have created a new hybrid nano-probe that could lead to noninvasive detection and treatment of cancer at the level of a single cell. The novel technique amplifies a biochemical signal on the surface of cancer cells to enhance detection. 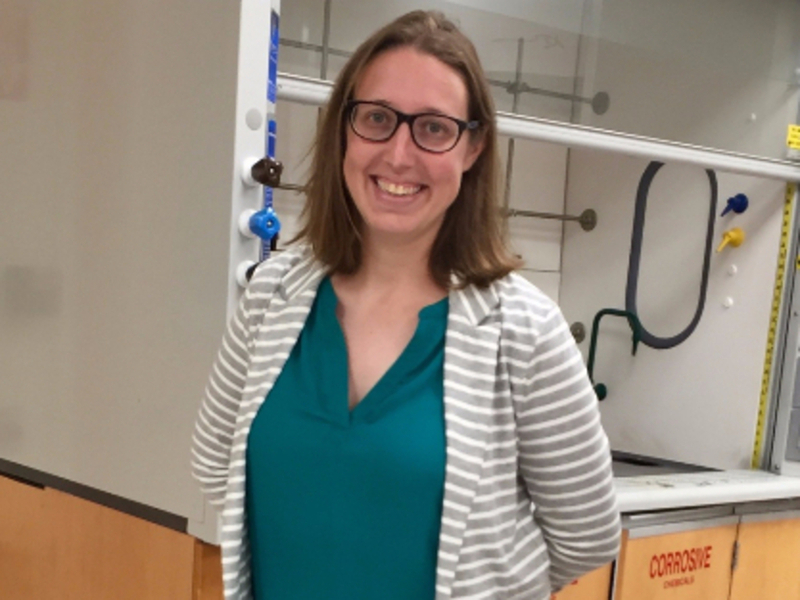 Emily Roberts has received the 2018 Kenneth G. Hancock Memorial award for outstanding student contributions in green chemistry. A graduate student in Professor Richard Brutchey's group, her research is focused on developing safe and sustainable methods of scaling nanoparticle syntheses for use as renewable energy catalysts. Roberts will be awarded $1,000 and recognized June 18 at the ACS Green Chemistry Institute conference in Portland, Oregon. Chemistry professor Daniel Lidar, director of the Center for Quantum Information Science and Technology (CQIST), says researchers are nearing breakthroughs with huge real-world implications for medicine, defense, energy and other fields. Dr. Yao Lu and Valeriy Cherepakhin (Williams group) won the 2018 USC Wrigley Sustainability Prize for their work to couple sustainable plastics production with biodiesel upgrading. We are delighted to inform you that The Protein Society has awarded Professor Ray Stevens with the 2018 Stein and Moore Award for his outstanding contributions to structural protein chemistry. The Award will be conferred during the Plenary Awards session at the Protein Society Meeting in Boston, MA on July 12, 2018. Join us in congratulating Ray on this great recognition of his research. A team of researchers including chemistry PhD candidate Richard Li, Professor Remo Rohs and Professor Daniel Lidar has demonstrated how a quantum processor could be used to assess a fundamental process in biology: the binding of gene regulatory proteins to the genome. Dr. Michael Inkpen has accepted USC's offer to join the Chemistry Department as a Tenure-Track Assistant Professor. Mike will start in Spring 2019. He received his Ph.D. from Imperial College (London, UK) in 2013 with advisors Nicholas Long and Tim Albrecht. At Imperial, Mike studied branched organometallic complexes for molecular electronics applications. Subsequent to his Ph.D. work, Mike moved to New York as a Marie Skladowska-Curie Postdoctoral Fellow at Columbia University working with Latha Venkataraman and Philippe Hapiot on scanning tunneling microscope-based break junctions, single-molecule electronics, and surface chemistry. He is currently continuing his Curie Fellowship work at the University of Rennes, France. Welcome Mike, we are looking forward to having you as a colleague. Dr. Megan Fieser has accepted USC's offer to join the Chemistry Department as a Tenure-Track Assistant Professor. Megan's appontment will begin in the Fall 2018. She received her B.A. in Chemistry from the Washington University in St. Louis where she did research in the areas of organic chemistry and electrochemistry with Kevin Moeller. She then continued at UC Irvine where she completed her Ph.D. in 2015 with Bill Evans on fundamental structure and bonding and small molecule activation with f-block coordination complexes. From 2015-present Megan has been a postdoctoral research associate with Bill Tolman at the University of Minnesota, working in the area of mechanistic polymer chemistry. We are pleased to welcome Megan as a colleague to our Department. Better Living Through Chemistry: A Methanol Future? Dr. Surya Prakash, author of Beyond Oil and Gas, The Methanol Economy, which he co-wrote with George Olah and Alain Goeppert. Find out about his latest discovery for converting methane gas to plastics and other chemical science breakthroughs such as methanol which can reduce pollution. 12th Annual Chemistry Career Symposium A Success! Let us all thank the CGSO Committee (Kavita Belligund, Bibek Samanta, Alexandra Aloia, Taylor Hodgkins, Kristen Zuraski, Adam Ung, Sean O'Connell and Ariel Nessl) for organizing the 12th CGSO Career Symposium. The line of Speakers were excellent and the attendance from the graduate student community was quite strong. Let us also thank all the speakers for their great presentations. It was nice to see how some our own graduates have blossomed in their chosen professions. USC scientists have unlocked a new, more efficient pathway for converting methane — a potent gas contributing to climate change — directly into basic chemicals for manufacturing plastics, agrochemicals and pharmaceuticals. In research published in the Journal of the American Chemical Society, chemists at the USC Loker Hydrocarbon Research Institute say they have found a way to help to use this abundant and dangerous greenhouse gas, which is generally burnt to produce energy or simply flared. We are pleased to inform you that our colleague, Jahan Dawlaty has been recognized as the 2018 JPC B -PHYS Lectureship winner by the ACS Journal of Physical Chemistry and ACS Physical Chemistry Division. This prestigious award is in recognition for his outstanding research publications in the Journal of Physical Chemistry. Jahan will be receiving the Award and presenting the Award Lecture at the American Chemical Society Meeting in Boston in August 2018. Let us all congratulate Jahan on this great honor. Chemistry Department is proud of Jahan’s outstanding research and scholarship. Anna Krylov has received the Mildred Dresselhaus Award 2017 at the University of Hamburg in Germany. She was honored for her outstanding contributions to electronic-structure theory, particularly for the development and application of powerful coupled-cluster-based methods. The prize includes research stays in Hamburg, where Anna Krylov will collaborate with Robin Santra from the Center for Free-Electron Laser Science, in particular, and other groups. Both Jahan Dawlaty and Brent Melot have independently received the highly competitive Scialog AES Collaborative proposal grants from the Research Corporation. They are to be congratulated for their continued success. The Department of Chemistry has received an alumni family gift of $250,000 toward the purchase of a mass spectrometer as well as instrumentation and fellowships that will enhance undergraduate education. The gift will enable the department to continue delivering a state-of-the-art education to students with a focus on hands-on experiments and opportunities for collaboration in the newly renamed Morrisroe Family & Pilot Chemical Company Instructional Lab. Professor Travis Williams has been recognized by the Thieme Chemistry Journals Award 2018. The award is granted to prospective Chemists, who have been recognized as high-potential researchers in the field of synthetic organic chemistry by the editorial board members of SYNTHESIS, SYNLETT and SYNFACTS. Congratulations Travis on this important recognition by your peers! Congratulations to Karl Christe and Xiaojiang S. Chen who have just been awarded the distinction of Fellow to the American Association for the Advancement of Science. This is in recognition of the contributions to science and technology, scientific leadership and extraordinary achievements across disciplines. New research by USC Chemistry professors Brent Melot and Smaranda Marinescu shows that novel metal-organic frameworks can conduct electricity as metals do, and shows promise in the development of smaller, lighter devices to produce and store renewable energy. It is with great pleasure that we inform you Jahan Dawlaty is a 2017 Raubenheimer awardee for Outstanding Junior Faculty Member for the Natural Sciences. He will be presented the award at the Dornsife Holiday Gathering on Wed, 11/29 at Town and Gown. Previously published papers of Professors Anna Krylov and Hanna Reisler were selected to be included in a special issue of Journal Physical Chemistry A, celebrating the 150th Birthday of Marie Curie (November 7, 2017). Both Professors Krylov and Reisler are to be congratulated for this remarkable recognition and being included in the select group of high achieving 66 Women Chemists. Innovative long-life battery research at the Department of Chemistry is featured in the fall/winter edition of USC Dornsife Magazine. 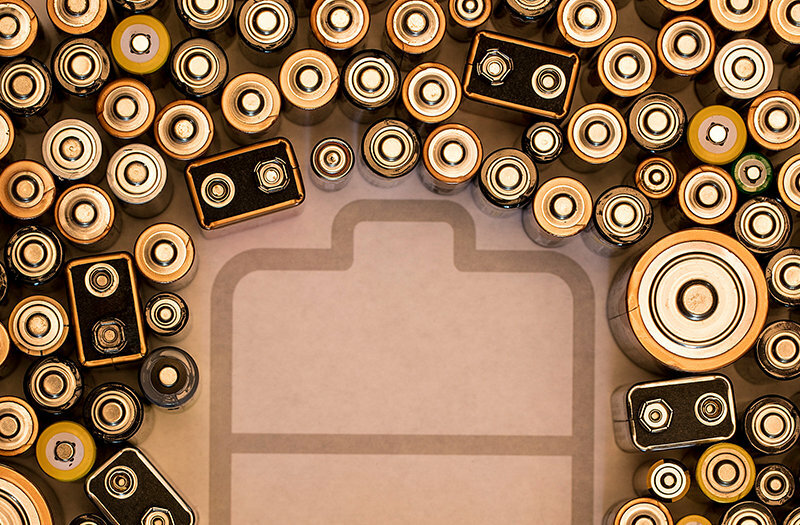 The article explores the latest in sustainable energy storage research underway by chemistry professors Sri Narayan, Brent Melot and department chair Surya Prakash. Professor Surya Prakash took the helm as USC Chemistry chairman in mid-August and sat down to discuss his new role and aspirations as well as his 40-year legacy in research and teaching in the department. Professor and department chair G. K. Surya Prakash has received a 2018 Arthur C. Cope Late Career Scholar Award for his major contributions to the field of synthetic and mechanistic organic chemistry. He will deliver an awards address at the Arthur C. Cope Symposium during the American Chemical Society's national meeting in Boston, Mass., in August. We are happy to announce that the Provost has awarded Thieo the designation Professor Emeritus of Chemistry, effective immediately. Please join us in congratulating Thieo for this well-deserved honor. Valery Fokin, professor of chemistry, participated in a panel event at the World Economic Forum’s 11th Annual Meeting of the New Champions. Held June 27–29 in Dalian, China, the high-profile gathering brought together more than 2,000 prominent leaders from politics, business, civil society, academe and the arts to address the global challenges of today — economic, political, societal and environmental. A National Institutes of Health training program that brings about collaboration in the fields of chemistry and molecular biology is giving graduate students new perspectives on both science and future career paths. Jose Ricardo Moreno, a PhD candidate in chemistry, is one of six trainees supported by a Chemistry and Biology Interface T32 grant, awarded by the National Institute of General Medical Sciences. Professors of chemistry Vadim Cherezov, Valery Fokin, Vsevolod Katritch, and Raymond Stevens were named in "The World's Most Influential Scientific Minds" list for 2016. The four researchers are also members of the Bridge Institute at the USC Michelson Center for Convergent Bioscience. 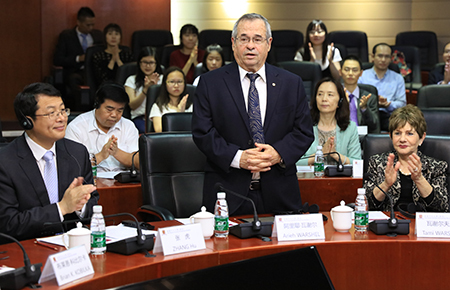 Nobel laureate Arieh Warshel was feted at the April 10 inauguration of a major research institution that bears his name at the Chinese University of Hong Kong in Shenzen, China. The institute will spearhead investigations in bioinformatics and computer-aided enzyme and drug design, and support international collaborations. Paul Lauridsen is a year away from earning his bachelor’s degree, but the chemistry major is already working on the front lines of USC efforts to turn greenhouse gas into methanol fuel. Lauridsen is one of several undergraduates performing research under the mentorship of Professor Travis J. Williams. Daniel Lidar has been named a 2017 Guggenheim Fellow for his work in quantum information processing. Lidar is a professor in Chemistry and Electrical Engineering, and director of the Center for Quantum Information Science and Technology. "This is an exciting time to be working in quantum computation, and I am deeply grateful to the Guggenheim foundation for their award, which will free me up to focus on my research," Lidar said. The highly competitive John Simon Guggenheim Foundation program awards about 175 fellowships each year from a pool of 3,000 applications. He is the only Fellow named in the Engineering category this year. Congratulations to Jotheeswari Kothandaraman on receiving the Phi Kappa Phi Student Recognition Award which will be presented at the 36th Annual Academic Honors Convocation. George A. Olah, the Donald P. and Katherine B. Loker Distinguished Professor of Organic Chemistry at the University of Southern California and the recipient of the 1994 Nobel Prize in Chemistry, has died. He was 89. "George impacted so many of us here at USC and throughout the chemical community, and we are reminded of his enormous contributions every day," said Mark Thompson, interim department chairman. "His loss will be felt for a very long time to come." Mark E. Davis, a renowned chemical engineering professor and nanomedicine pioneer at Caltech, will join the USC Chemistry faculty in October. His research on biomaterials for cancer treatment holds great promise to make medicines more targeted and effective. Two Chemistry researchers have devised a way to dramatically extend the cycle life of the lithium-sulfur battery, removing one of the major technical barriers to its wider use in mobile phones, computers, cars and even planes. Sri Narayan and Derek Moy of the Loker Hydrocarbon Research Institute published a paper in the January issue of the Journal of the Electrochemical Society outlining a solution that extends the cycle life of the lithium-sulfur battery by up to four times. Their work was also featured in USC News. The innovation by Narayan and lead author and research assistant Moy is the “Mixed Conduction Membrane,” or MCM, a small piece of non-porous, fabricated material sandwiched between two layers of porous separators, soaked in electrolytes and placed between the two electrodes. As of January 1, Sri Narayan is promoted to Professor of Chemistry and will serve as the Scientific Co-Director of the Loker Hydrocarbon Institute. Graduate student Carolina Amador (McKenna group) has been selected by the Younger Chemists Committee of the ACS for a Leadership Development Award to support her participation in the ACS YCC Workshop in January. Richard Brutchey has been promoted to Full Professor. Congratulations Richard! Mark Thompson has been awarded one of the signature IEEE awards - the Jun-ichi Nishizawa Medal. The award is given for outstanding contributions to material and device science and technology, including practical application. Mark is honored with Ching Tang along with Mark's long-time collaborator Stephen Forrest. Tang, Thompson and Forrest are cited for "For their pioneering work on organic devices, leading to organic light-emitting diode displays." Matthew Pratt, Chemistry, has been awarded the American Cancer Society’s HOPE Award, for his work on increased levels of a specific sugar found in malignant cells. Anna Krylov has been appointed an inaugural Gabilan Distinguished Professor in Science and Engineering. This distinction recognizes academic excellence as well as contributions to the WiSE community. In an article highlighted by USC News, Travis Williams describes how his group's latest catalyst turns greenhouse gas into hydrogen fuel. The Chemistry and Molecular Biology graduate programs at USC will launch a NIH T32 training grant program in July 2016. The National Institute of Health-funded Chemistry-Biology Interface training grant is led by Director Susan Forsburg (MCB) and Co-Director Matt Pratt (CHEM). It will support several Chemistry PhD students with fellowships and a unique training in two mentors laboratories. The award timing is excellent, coming in the first year of a new Chemical Biology section in the Chemistry Department and the arrival of the Bridge Institute that involves several of the department's faculty. Congratulations to Hanna Reisler who has been recognized for the INSIGHT Into Diversity 2016 Inspiring Women in STEM Award, in the upcoming September STEM issue of INSIGHT Into Diversity magazine. Congratulations to Jonathon Hunt (Dawlaty group) on receiving an NSF graduate research fellowships. Two of the department’s majors won recognition at this year’s Southern California Undergraduate Research Conference. Lisa Kam (Williams group) won best in category poster prize for her work on dehydrogenation of ammonia borane. Green Ahn (Jung group) won the Organic award for podium presentation about research on Direct H-D Exchange of Pharmaceuticals. In an article highlighted in this month’s Chemistry World, Travis Williams’ group show how we are now one step closer to borane-powered fuel cells thanks to their new ruthenium catalyst. Ray Stevens has been elected a member of the Norwegian Academy of Science and Letters. The academy is responsible for awarding the Abel Prize in mathematics and the Kavli Prize in astrophysics, nanoscience and neuroscience. It has only 409 foreign members. The Department of Chemistry is pleased to announce that Matthew Pratt has been promoted to Associate Professor of Chemistry with tenure. We are pleased to announce that Anna Krylov will be receiving the 2016 Phi Kappa Phi Faculty Recognition Award for her published scholarly work “New Approaches to Metastable states of molecules”. Anna will be recognized at the USC Annual Academic Honors Convocation on Tuesday April 12. Forrest Zhang has received the 2016 Undergraduate Award in Organic Chemistry, awarded by the American Chemical Society Division of Organic Chemistry. 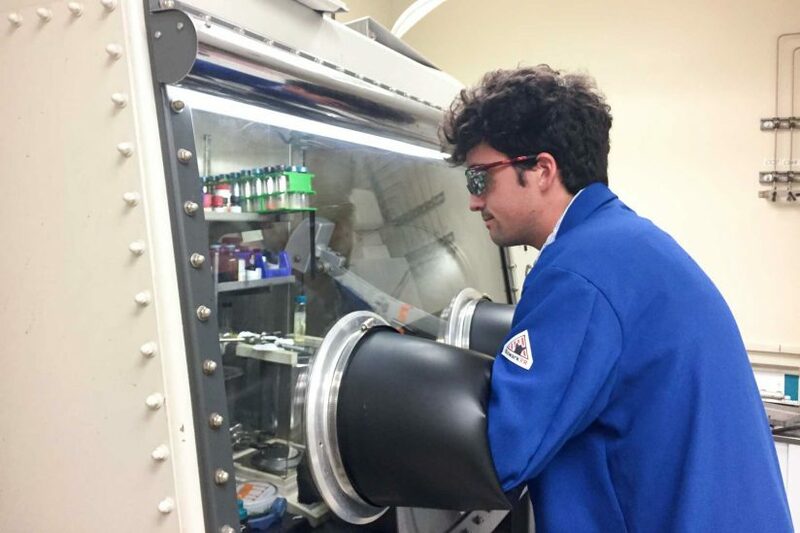 Forrest carried out his undergraduate research in synthetic organic chemistry in the Williams group, working on the synthesis of chelates of gadolinium(III), which comprise most clinically available MRI contrast agents. Chemical & Engineering News highlighted work by USC chemists Richard Brutchey and Noah Malmstadt in which they designed a microfluidic reactor that produces uniform droplets across a parallel device network. They used the device to make platinum nanoparticles in ionic liquid solvent droplets, whose size were invariant to changes in pressure, flow rate, and channel surface chemistry across the parallel network. Professor Melot is being supported by NSF in their work to understand correlations between crystal structure, composition, and physical properties of functional materials, particularly materials for use in energy storage applications. The title of the award is "Understanding the Influence of the Framework on Alkali Ion Diffusion in Polyanionic Intercalation Electrodes”. NSF is supporting Professor Marinescu and her group to design catalysts for reduction chemistry of small molecules, such as carbon dioxide, protons, and oxygen. 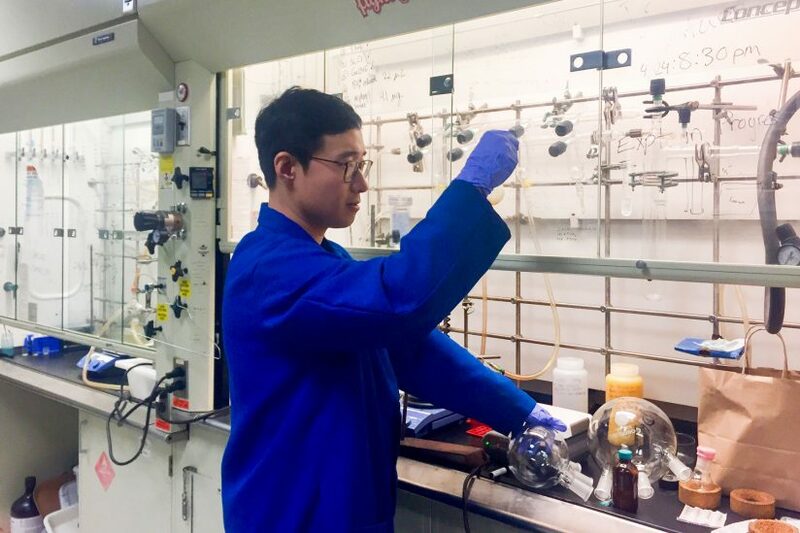 Following cues from biology – metal complexes with pendant proton relays– her group is designing candidate catalytic systems for solar fuel cell applications. Our junior faculty have now picked up four NSF CAREER awards in the past two years. Professors Brent Melot and Jahan Dawlaty have both been named recipients of the Cottrell Scholar Award by the Research Corporation for Scientific Advancement. They join Richard Brutchey and Stephen Bradforth as previous Cottrell awardees. The Cottrell Scholar program "develops outstanding teacher-scholars who are recognized by their scientific communities for the quality and innovation of their research programs and their academic leadership skills”. The award comes with a $100,000 grant to support the scholars' research and educational activities. The department is pleased to announce that Mariah Mulroe (Biochemistry and Earth Sciences Major) has been awarded a prestigious Marshall Scholarship for her post-graduate studies in geochemistry in the UK next academic year. The Marshall Scholarship was created by the UK government in 1953 to recognize the United States' extraordinary commitment in rebuilding post-WWII Europe with the Marshall Plan. In 2015, 40 American students from across all academic disciplines were selected from ~ 1000 applicants to study at UK universities. Congratulations Moriah! Please join me in congratulating Remo Rohs who is a recipient of a 2015 OpenEye Outstanding Junior Faculty Award in Computational Chemistry. This is an award of the American Chemical Society's COMP division. Congratulations to Oleg Prezhdo on winning a prestigious Bessel Research Award from the Alexander von Humboldt Foundation in Germany. The prize recognizes outstanding scientists and scholars internationally renowned in their field who are expected to continue producing cutting-edge achievements which will have a seminal influence on their discipline beyond their immediate field of work. 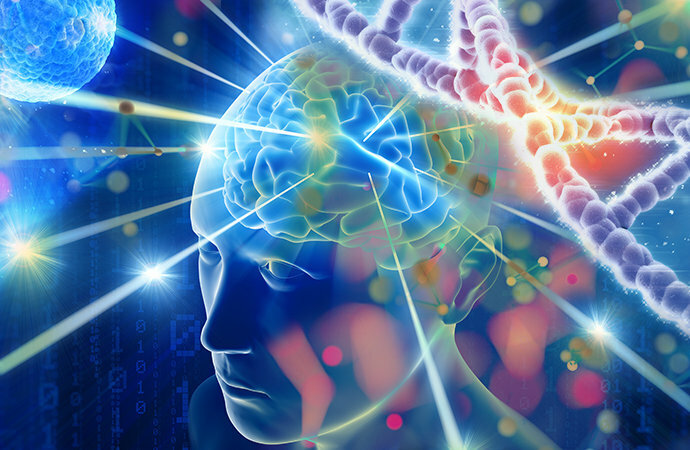 Using synthetic proteins, the Pratt lab has shown that O-GlcNAc modification inhibits the aggregation and toxicity of the Parkinson’s disease associated protein alpha-synuclein. 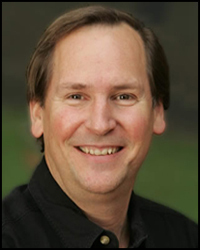 We are pleased to announce that Steve Bradforth has been named a Fellow of the APS. 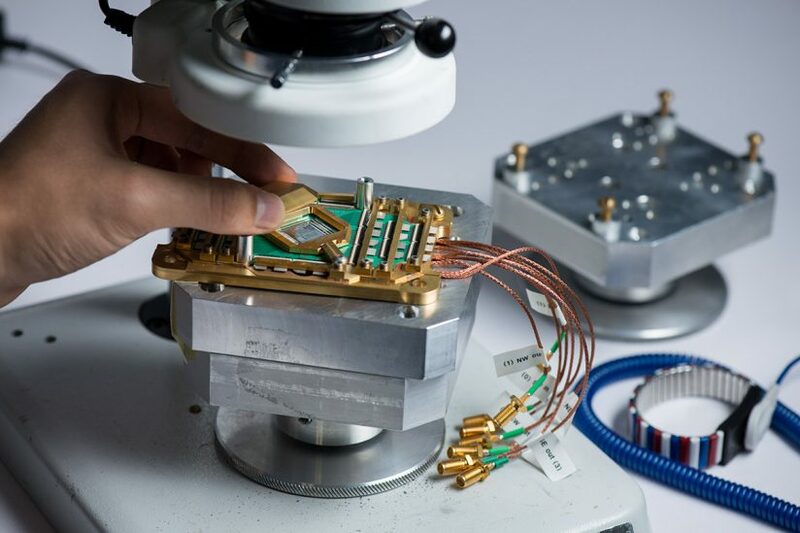 This recognition is "for applying femtosecond and photoelectron spectroscopies to gain better understanding of electronic interactions that guide chemical reaction dynamics in the condensed phase." Professor Terry Takahashi is the PI of a recently granted Department of Defense CDMRP award. The goal of project is to generate molecules that can be used as a treatment for Neuroblastoma by interfering with the function of a protein called N-myc. Neuroblastoma is the most common cancer found in children outside of the head and causes ~15% of all childhood cancer deaths. In addition, Terry along with Professor Rich Roberts are investigators on a recently announced multi-investigator Imaging Research Award sponsored by GE Healthcare. The goal of this second grant is to develop small, protease resistant peptides for PET imaging of immune checkpoint receptors. Congratulations to Professor Moh-El Naggar on being named the Robert D Beyer ('81) Early Career Chair in Natural Sciences. We are pleased to announce that Anna Krylov has been named a 2015 Fellow of the ACS. This recognition is for outstanding achievements in and contributions to science, the profession, and ACS. Please join us in congratulating Anna on this honor. Professor Brent Melot and his group have recently been awarded a grant from ONR to explore tuning Complex Magnetic Order in Garnets. The idea is to use this as a route to single-phase room temperature multiferroics. We are pleased to announce that Surya Prakash has been chosen to be the recipient of the 2015 Henri Moissan Prize, the highest international award for excellence in fluorine chemistry. This prize is awarded only every three years by the Fondation de la Maison de la Chimie, and past recipients include Neil Bartlett, Herbert Roesky, and our own Karl Christe. Please join us in congratulating Surya on this prestigious award. Professor Mark Thompson is the recipient of the 2016 IEEE Award for Photonics. Mark is recognized for his scientific and technical leadership in the conception, demonstration, and development of phosphorescent materials in organic light-emitting diode (OLED) displays. Mark has also been appointed to the Ray R. Irani Chair in Chemistry. Professor Jahan Dawlaty is the recipient of a CAREER award from the National Science Foundation. Jahan and his group will study Coupled Electron-Proton Dynamics at Photocatalytic Interfaces. Professor Matt Pratt has been awarded an NIH R01 for his group's work on Functional Analysis of O-GlcNAc Modifications using Synthetic Protein Chemistry. We are delighted to learn that Anna Krylov and Arieh Warshel have both been elected into the International Academy of Quantum Molecular Science (http://www.iaqms.org). Congratulations to Anna Krylov who has been selected (as one of 100 women) to be recognized by the INSIGHT Into Diversity 2015 Inspiring Women in Stem Award, in the upcoming September STEM issue of INSIGHT Into Diversity magazine. Professor Susumu Takahashi was awarded a new NSF DMR grant to support his group’s work on Molecular Magnets. 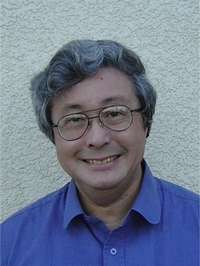 Takahashi’s project aims to reveal the origin of quantum decoherence in molecular nanomagnets using unique magnetic resonance techniques. In Memoriam: Howard Taylor, Emeritus Professor of Chemistry. Professor Matt Pratt has received a new National Science Foundation grant from the Chemistry of Life Processes program for his group's research into "Specific chemical reporters for gylcosylation pathways". Alumna of the Chemistry Department, Soonja Choe, has recently become President of South Korea’s Inha University. Dr. Choe, who received her Ph.D. with Professor John Aklonis in 1985, is the first woman president of Inha University. We are delighted to announce that Professor Valery Fokin will be joining the Department of Chemistry in Fall 2015. Valery is best known for co-discovering the Copper-Catalyzed Azide-Alkyne Cycloaddition, recognized as the iconic example of “click chemistry” which is used in countless labs across the world. Fokin is appointed as a Professor in Chemistry and will be affiliated with both the Loker Hydrocarbon Research Institute and the Bridge@USC. Congratulations to Matthew Greaney from the Brutchey Group who was just chosen to be one of the 2015 ACS Division of Inorganic Chemistry Young Investigator Awardees. Matt will present his award talk at the fall ACS meeting in Boston, where he will receive a plaque and an honorarium. Congratulations to Cesar DeLeon and Amanda Baxter on receiving NSF graduate research fellowships. The NSF Graduate Research Fellowship Program recognizes and supports outstanding graduate students in NSF-supported science, technology, engineering, and mathematics disciplines. Cesar and Amanda were two of 16,500 applicants for these prestigious fellowships. In addition, students carrying out undergraduate research in our department also have also done well in this competition. John Seonghyun Lee (with Brutchey, now at UC Berkeley) and Robinson Flaig (REU with Williams, now UC Berkeley) are recipients of NSF graduate research fellowships. Chris Reimann has received the 2015 Undergraduate Award in Organic Chemistry, awarded by the American Chemical Society Division of Organic Chemistry. Chris carried out his undergraduate research in synthetic organic and medicinal chemistry in the Petasis group, working on the total synthesis of pro-resolving lipid mediators. Chris has been the recipient of multiple academic honors at USC, and later this year he will begin his graduate studies at Caltech towards his Ph.D. In chemistry. Mark Thompson is the recipient of the award for Faculty mentoring Graduate Students and Jessica Parr the Mellon Mentoring award for Faculty mentoring Undergraduates. In addition, Andrea Armani has been recognized by the World Economic Forum (WEF) as a Young Global Leader. The Department of Chemistry is pleased to announce that Barry Thompson has been promoted to Associate Professor of Chemistry. A description of Barry's research program can be found at https://dornsife.usc.edu/labs/barry-c-thompson-research-group/research/. Please join us in extending warm congratulations to Barry. 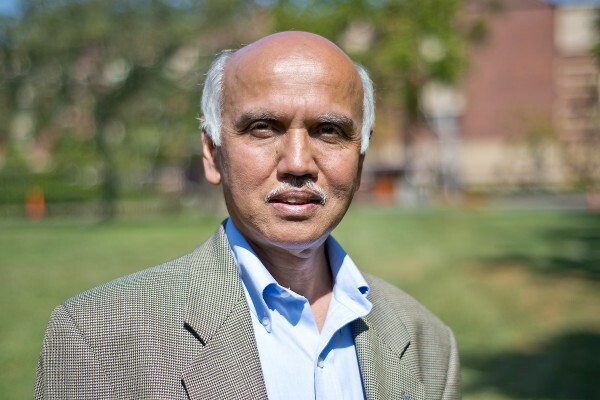 Professor Sri Narayan has been chosen to receive the prestigious "2015 Phi Kappa Phi Faculty Recognition Award for his original research on Batteries for Electrical Energy Storage" at USC. The award will be given at the Academic Honors Convocation on April 15, 2015 . Please join us in congratulating Professor Narayan on this wonderful recognition for his research accomplishments. Chao Zhang has been awarded an National Science Foundation CAREER award for his research into the Chemical Genetic Dissection of Cell Signaling. The award is for $650,000 over 5 years. The award will support the development of chemical strategies for identifying, designing and synthesizing small-molecule modulators that disrupt the functioning of proteins involved in cell signaling processes. Myron Goodman was selected as the recipient of the 2015 Environmental Mutagenesis & Genomics Society (EMGS) Award. Myron is recognized for his multiple seminal discoveries concerning molecular mechanisms responsible for accurate and inaccurate DNA synthesis that have contributed to advancements in understanding carcinogenesis, heart disease, heritable birth defects, AIDS, and the development of the immune system. (see http://www.emgs-us.org/). 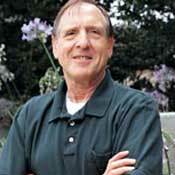 Myron will give the award lecture in New Orleans at the EMGS meeting in September. Prof. Mark Thompson has been elected to the National Academy of Inventors for his pioneering work in the development of OLED technology. As stated by the NAI, "Election to NAI Fellow status is a high professional distinction accorded to academic inventors who have demonstrated a highly prolific spirit of innovation in creating or facilitating outstanding inventions that have made a tangible impact on quality of life, economic development, and welfare to society. Travis Williams was the 2014 Gordon L Hodgson Memorial Lecturer in Science at GalaxoSmithKlein. Previous lecturers in recent years include Larry Overman, Paul Wender and Carolyn Bertozzi. Sri Narayan is a winner of this year’s $10,000 prize from the Pauchon Research Foundation. The prize recognizes Sri's development of iron-based rechargeable batteries for worldwide electricity generation. The Pauchon Research Foundation makes awards once a year "to individuals and organizations who have contributed to the betterment of mankind”. Chi Mak is the recipient of a 2014 Senior Raubenheimer Award. The award is Dornsife’s highest honor and is presented to faculty members who have excelled in teaching, research and service to the university. Chemical & Engineering News highlighted work by USC chemists Priscilla D. Antunez, Federico A. Rabuffetti, and Richard L. Brutchey in which they prepared phase-pure SnS films using a simple low-temperature solution-phase method (Chem. Mater. 2014, 26, 5444). The ease by which these films can be prepared when compared to more laborious and costly traditional methods make them more tractable as sustainable photovoltaic absorber materials. Prof. Matthew Pratt is one of two young investigators in California to receive the Career Catalyst Grant from Susan G. Komen for the Cure. This $450,000 award will be used by his lab to investigation how the modification of proteins by O-GlcNAc promotes the survival and growth of breast tumors. Prof. Matthew Pratt has been recognized as the 2015 recipient of the David Y. Gin New Investigator Award by the Carbohydrate Division of the American Chemical Society. This award acknowledges and encourages outstanding contributions to research in carbohydrate chemistry by scientists in the first seven years of their independent career. He will be receiving this award at the spring ACS meeting in Denver. Andrey Vilesov led a team that used the Stanford X-ray free electron laser to image droplets of liquid helium. The work, described in an August 22 article in Science magazine, reports quantum vortices and extreme deformation of liquid droplets and sheds light on superfluidity at the nanoscale. 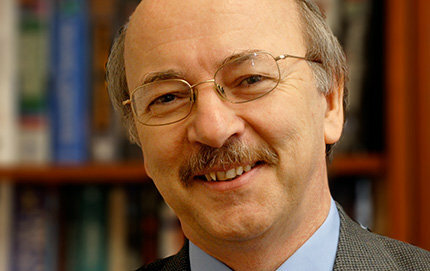 Karl Christe has been recognized by the American Chemical Society with the 2015 ACS Award for Creative Research and Applications of Iodine Chemistry. Karl will be receiving this award in the March 2015 ACS meeting. Prof. Mark Thompson has been named recipient of the 2014 American Chemical Society Award in the Chemistry of Materials for pioneering the discovery and development of molecular materials for displays, lighting and solar conversion, combining unique insights from molecular photophysics and synthetic chemistry. Congratulations to Surya Prakash who has been named a 2014 Fellow of the ACS. This recogniition is for outstanding achievements in and contributions to science, the profession, and the Society. Congratulations to Steve Bradforth, who has been named recipient of the 2014 USC Mellon Mentoring Award for his dedication to faculty mentoring. Professor Bradforth has played a pivotal role in helping launch the academic careers of many of his junior colleagues and postdocs. Arieh Warshel received the Presidential Medallion at the 33rd Annual Academic Honors Convocation. The Presidential Medallion is awarded to an individual who has contributed greatly to USC in areas that promote the excellence of the institution. Congratulations Arieh! 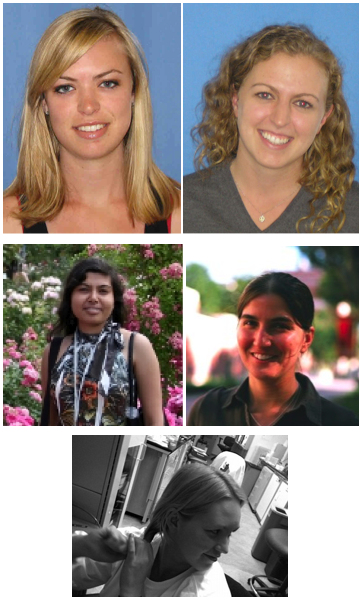 Congratulations, new NSF Fellowship Awardees! Beatriz Garcia-Barboza (McKenna group) and Carrie McCarthy (Brutchey group) just named recipients of the 2014 National Science Foundation Graduate Research Fellowship. Kelsey Bass (Melot group) and Caitlin DeAngelo (Petasis group) also received honorary mentions. Julia Lazzari-Dean, an undergraduate Chemical Biology major who did research with Anna Krylov, also received an NSF Fellowship. 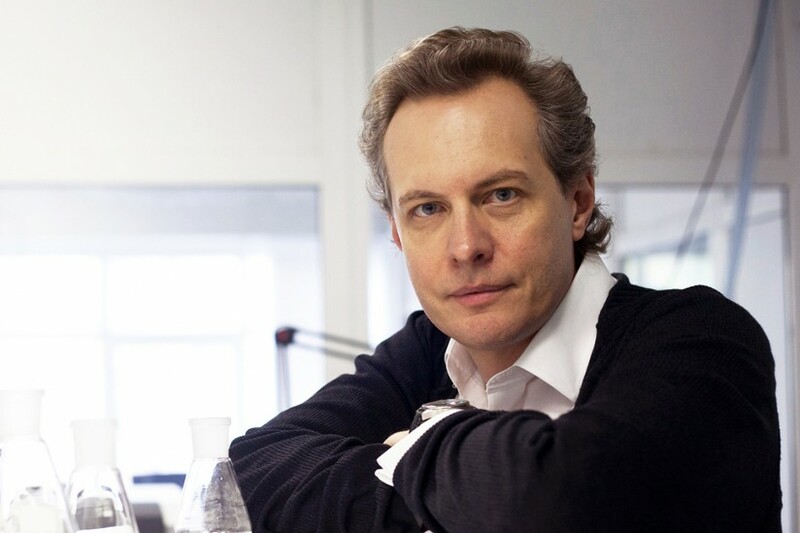 Congratulations to Mark Thompson, who has been named recipient of the 2013 Richard C. Tolman Medal. The Tolman Medal is awarded each year by the Southern California Section of the American Chemical Society in recognition of outstanding contributions to chemistry. Professor Olah was honored with the prestigious 2013 Semmelweis Budapest Award by the Semmelweis University, Hungary's oldest medical school and Europe's leading center for medical and health sciences in a ceremony at USC on October 11, 2013. 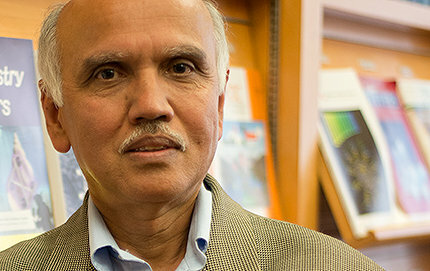 Professor Surya Prakash is elected as a Foreign Fellow of the National Academy of Sciences (NASI) in 2013. NASI, established in 1930, is the oldest and most prestigious Science Academy in India. The NASI annually elects only 5 Foreign Fellows across all fields in the sciences. 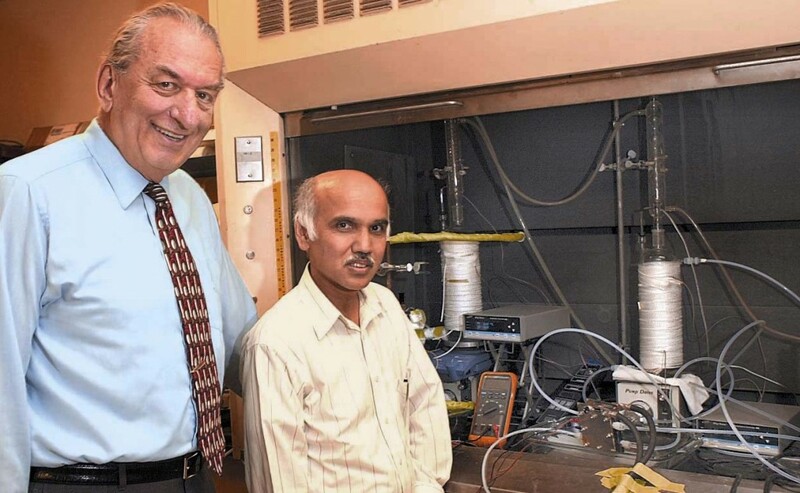 Professors George Olah and Surya Prakash were jointly awarded the 2013 Eric and Sheila Samson Prime Minister's Prize for Innovation in Alternative Fuels for Transportation for their work on Methanol Economy. The inaugural $ 1M prize, considered as a "Nobel Prize for Alternative Fuels" by the State of Israel, was awarded by Prime Minister Netanyahu in a Gala Dinner at the Bloomeberg Future Fuel Summit in Tel Aviv on November 12, 2013. Prof Matthew Pratt was awarded the General Education Teaching Award from the David and Dana Dornsife College of Letters, Arts and Sciences for his contribution to the General Education Program. This Award was given based on statistics and student comments on evaluation forms, course syllabi, and evidence of rigorous grading. Graduate students Balyn Zaro in the Pratt Lab and Andrew Clough in the Christe Lab have received an honorable mentions for the 2014 Rockwell Dennis Hunt Scholastic Award. This award is given to graduate students who are USC alumni and represent the University’s traditions and objectives. Travis Williams was named an Emerging Investigator by the editors of ChemComm. His recently published communication will be included in a special thematic issue in 2014 that highlights the work of young "emerging" investigators. Dr. Petasis was elected fellow of the American Association for the Advancement of Science (AAAS). 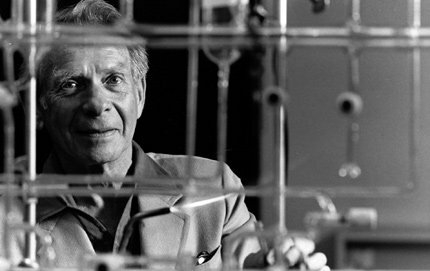 He was selected for his pioneering contributions to organic chemistry and biomedical sciences, with the discovery of novel synthetically useful reactions and new paradigms involving chemistry, biology and medicine. David Dows is presented by Dr. Janette Brown, Executive Director of the USC Emeriti Center the 2013 Paul E. Hadley Faculty Award for Service to USC. This Award recognizes the outstanding voluntary contributions toward enhancing the overall quality of university life for students, faculty, staff, alumni, retirees, or other members of the USC community, and have contributed to the positive collegial spirit of the Trojan Family. Chemical & Engineering News highlighted work by USC chemists Priscilla D. Antunez, David H. Webber, and Richard L. Brutchey in which they prepared highly conductive WSe2 nanosheets using a simple solution-phase method (Chem. Mater. 2013, 25, 2385). The relative ease by which these materials can be prepared when compared to more laborious traditional methods may make them more tractable for applications in photocatalysis. Five members of the Chemistry Department have been elected fellows of the 2012 American Association for the Advancement of Science (AAAS) in recognition for their contributions to science and technology. A recently published study co-authored by USC Dornsife's Nicos Petasis reveals a new drug that may be an effective alternative for cancer patients resistant to currently available drugs. A multiuniversity team has employed a high-powered laser to dramatically improve one of the tools scientists use to study the world at the atomic level. The team was able to use its amped-up electron paramagnetic resonance (EPR) spectrometer to study the electron spin of free radicals and nitrogen atoms trapped inside a diamond. Allowing scientists to study tiny molecules at a high resolution, the improvement will pull back the veil that shrouds the molecular world. The team, which includes researchers from USC, the University of California, Santa Barbara (UCSB), and Florida State University, published its findings in Nature on Sept. 20. Philip J. Stephens, professor emeritus of chemistry in USC Dornsife, who invented and developed two major techniques for characterizing molecular structure, has died. He was 71. 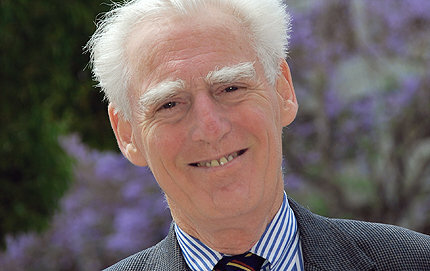 In 2008, Stephens, then a USC Dornsife faculty member for more than 40 years, was named a Fellow of the Royal Society, the highest distinction given to a British scientist and the equivalent to the National Academy of Sciences in the United States. At the request of Philip's family, the department will be hosting a symposium in spring 2013 to celebrate Philip's scientific accomplishments. As the arrangements are being made, more details about the event will be forthcoming. Matt Pratt was one of ten Assistant Professors to received a Concern Foundation new investigator grant, which is co-sponsored by the Save the Ta-Tas Foundation. Matt Pratt has been named one of the five 2012 recipients of the Damon Runyon-Rachleff Innovation Award. The grant of $450,000 over three years is awarded each year to early career scientists whose projects have the potential to significantly impact the prevention, diagnosis and treatment of cancer. Susumu Takahashi has been named as a 2012 Searle Scholars. In selecting the Scholars, the Scientific Advisory Board looked for scientists who have already demonstrated innovative research with the potential for making significant contributions to chemical and biological research over an extended period of time. Sean Culver (advisor: Richard Brutchey) and Candy Hwang (advisor: Charles McKenna) have both been selected to receive a 2012 National Science Foundation (NSF) Graduate Research Fellowship. Their selection was based on their outstanding abilities and accomplishments, in addition to their potential to contribute to strengthening the vitality of the US science and engineering. Scientists at USC and Lawrence Berkeley National Lab have discovered a new route by which a proton (a hydrogen atom that lost its electron) can move from one molecule to another - a basic component of countless chemical and biological reactions. 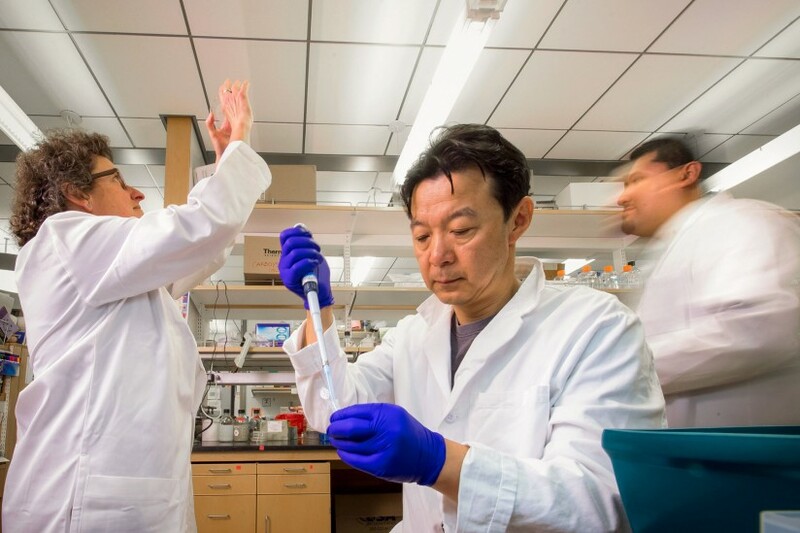 "This is a radically new way by which proton transfer may occur," said Anna Krylov, professor of chemistry at the USC Dornsife College of Letters, Arts and Sciences. Krylov is a co-corresponding author of a paper on the new process that was published online on March 18 by Nature Chemistry. Arieh Warshel has built a theoretical working model of the cellular engine that powers all life. The model will allow scientists to better understand the forces of life at the molecular level and potentially replicate them, including designing miniscule mechanical motors for nanomachines and nanorobots. The work was published online last month in Proceedings of the National Academy of Sciences. USC Distinguished Professor Emeritus of Chemistry Sidney W. Benson, who became scientific co-director of USC Dornsife's Loker Hydrocarbon Research Institute when it opened in 1977, has died. He was 93. Among the world's most-cited chemists, Benson published more than 500 scientific papers and books on physical chemistry. His research in thermochemistry transformed a once esoteric field into an active branch of modern chemistry. Those who work at modeling complex chemical processes such as air pollution, the ozone layer, combustion, or explosions make use of Benson's fundamental contributions. Benson died Friday, Dec. 30, at his home in Brentwood, Calif., after complications from a stroke, his wife of 26 years Anna Bruni Benson said. Congratulations to Richard Brutchey on the receipt of the Junior Raubenheimer Award and to Surya Prakash on the receipt of the Senior Raubenheimer Award which were presented at the College holiday gathering last week. These awards are the College's highest awards presented to outstanding faculty who have excelled in teaching, research and service to the University. Richard Brutchey was named an Emerging Investigator by the editors of ChemComm. His recently published communication will be included in a special thematic issue in 2012 that highlights the work of young "emerging" investigators. A team of USC scientists has developed a robust, efficient method of using hydrogen as a fuel source. Hydrogen makes a great fuel because it can be converted easily to electricity in a fuel cell and because it is carbon free. The downside of hydrogen is that, because it is a gas, it can only be stored in high pressure or cryogenic tanks. In a vehicle with a tank full of hydrogen, "if you got into a wreck, you'd have a problem," said Travis Williams, assistant professor of chemistry at the USC Dornsife College of Letters, Arts and Sciences. A possible solution is to store hydrogen in a safe chemical form. Earlier this year, Williams and his team figured out a way to release hydrogen from an innocuous chemical material - ammonia borane, a nitrogen-boron complex - that can be stored as a stable solid. USC's first film-making competition focusing on science! Open to teams of USC students from Cinematic Arts, Communications, Sciences, Engineering, and beyond. Teams present a short film that explains and illustrates a scientific concept, principle, or issue, for a wide non-expert audience. 31st August 2011: Full details of the eligibility requirements, registration procedure, and small grant awards will be announced at sciencefilms.usc.edu. 8th October 2011: Deadline for competition registration. Deadline for application for small grants. 11th January 2012: Final deadline for submission of entries. Films will be uploaded to YouTube for public viewing. 25th January 2012: Screening Festival and Prizes Award Ceremony. Scientists have taken the next major step toward quantum computing, which will use quantum mechanics to revolutionize the way information is processed. Using high-magnetic fields, Susumu Takahashi, assistant professor at the USC Dornsife College of Letters, Arts and Sciences, and his colleagues managed to suppress decoherence, one of the key stumbling blocks in quantum computing. Air and water meet over most of the Earth's surface, but exactly where one ends and the other begins turns out to be a surprisingly subtle question. A new study in Nature narrows the boundary to just one quarter of water molecules in the uppermost layer - those that happen to have one hydrogen atom in water and the other vibrating freely above. Professor Travis J. Williams has received the NSF CAREER award from the Chemical Catalysis Program in the Division of Chemistry. This award will support develop of bifunctional homogeneous catalytic systems featuring a Lewis acid that functions primarily as a directing element to imparts selectivity to hydride transfer reactions and a second metal as the hydride transfer catalyst. The ability to manipulate hydride groups may significantly impact organic synthesis in general and hydrogen energy storage in particular. Further, hands-on training of graduate and undergraduate students in NMR spectroscopy will be developed and NMR spectroscopy will be introduced to local PUIs and high schools through a cyber-enabled NMR facility. A team of scientists at NASA's Jet Propulsion Laboratory in Pasadena, Calif., in partnership with the University of Southern California in Los Angeles, developed a Direct Methanol Fuel Cell technology for future Department of Defense and commercial applications. Recently, USC and the California Institute of Technology in Pasadena, which manages JPL for NASA, awarded a license to SFC Energy, Inc., the U.S. affiliate of SFC Energy AG. The non-exclusive license for the technology will facilitate the expansion of the company's methanol fuel cell products into the U.S. market. Congratulations to Professor Charles McKenna on his 2010-2011 Mellon Mentoring Award. Jannise Buckley (advisor: Richard Brutchey) and Balyn Zaro (advisor: Matthew Pratt) have both been selected to receive a 2011 National Science Foundation (NSF) Graduate Research Fellowship. Their selection was based on their outstanding abilities and accomplishments, in addition to their potential to contribute to strengthening the vitality of the US science and engineering Shannon Howell (Richard Roberts) received a WiSE Merit Award which encourages outstanding doctoral students to pursue careers in science and engineering.advisor: enterprise. Mark Thompson, professor of chemistry, materials science and environmental sciences at USC College, is ranked 12th on Thomson Reuters' Science Watch list as one of the world's most influential chemists. The "Top 100 Chemists, 2000-10" list recognizes leaders in the field who have achieved the highest citation impact scores for chemistry papers, articles and reviews published since 2000. With his top 53 published papers being cited 5,394 times, Thompson garnered an impact score of 101.77. 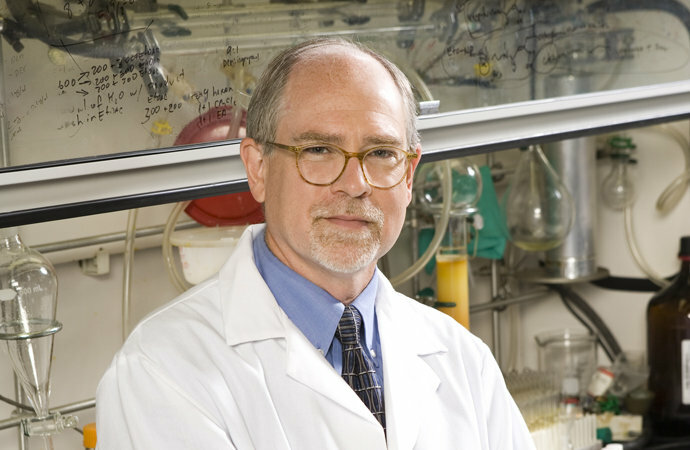 Thompson, whose research areas include molecular/polymeric materials for optical studies and nanoscale materials, and devices for sensing catalytic studies, joined USC College in 1995. Arieh Warshel has been appointed a Distinguished Professor of Chemistry and Biochemistry by President Max Nikias. 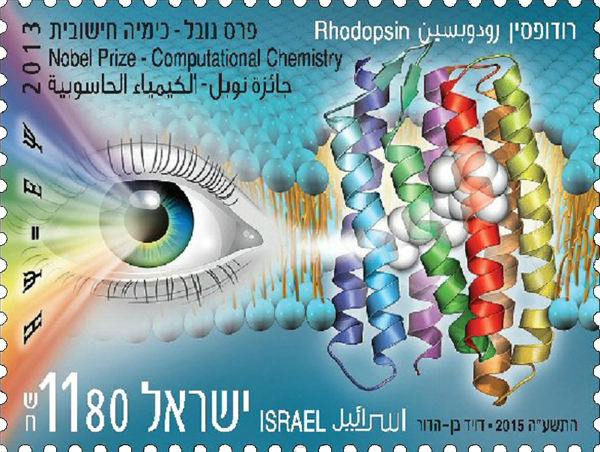 Arieh is a member of the National Academy of Sciences and Fellow of the Royal Society of Chemistry. For more than 30 years at USC, he has pioneered many of the key approaches in computational biophysics and was the founder of computational enzymology. He broke new ground in computer simulations of the function of proteins and introduced key ideas in the emerging field of microscopic modeling of chemical processes in proteins. Congratulations Arieh on this well-deserved recognition of your scholarly accomplishments! Richard Brutchey received a 2010 Cottrell Scholar Award from Research Corporation for excellence in integrating science teaching and research. The $75,000 award will go towards research on a generalized synthetic route to nontoxic semiconductor nanocrystals for use in inexpensive solar cells. Chemistry Chair Charles McKenna received the 2010 Provost's Teaching with Technology Prize from Vice Provost Elizabeth Garrett in a ceremony held at the Davidson Conference Center on May 4, 2010. Charles was previously the recipient of the 2009 USC General Education Distinguished Service Teaching Award and the 2009 Raubenheimer Award. Chemistry has received four major NSF and NIH instrumentation grants funding four new NMR spectrometers and a new, $1M pulse EPR-ENDOR spectrometer. Hanna Reisler received the 2009 s Mentoring Award. Reisler, holder of the Lloyd Armstrong, Jr. Chair for Science and Engineering, will receive a $5,000 award during the Academic Honors Convocation on April 13, 2010. Two short educational films, Shine a light and Laser, explaing interaction of molecules with light and physics behind the lasers using non-traditional visualization tools have been recently released by the iOpenShell Center. Shine a light has been viewed more than 10,000 times on Youtube in the first month since the release. Under Jim Haw’s leadership, the USC College has redesigned its environmental studies program to offer a truly interdisciplinary curriculum, one which respects the roles of both the natural and social sciences. Mark Thompson will serve as the Associate Director of the newly established Center for Energy Nanoscience and Technology, which is made possible by a $12.5 million grant from the U.S. Department of Energy. Arieh Warshel, a pioneer in the field of computational biophysics and USC College veteran of more than 30 years, has been elected to the National Academy of Sciences. One of 72 new members selected at the 146th annual meeting of the academy, Warshel joins approximately 2,100 scientists and engineers in this distinguished organization. Philip Stephens, professor of chemistry in USC College, has been named a fellow of the Royal Society, the highest distinction a British scientist can receive. 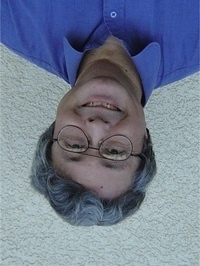 Prof. Stephens is distinguished for the introduction and development of two major techniques for characterising electronic and stereochemical molecular structure using circularly polarised light, namely Magnetic Circular Dichroism (MCD) and Vibrational Circular Dichroism (VCD) Spectroscopies. Nobel Prize winner George A. Olah, who holds a joint appointment at the USC Viterbi School of Engineering and USC College, and Robert A. Scholtz, the Fred H. Cole Professor of Engineering in the Ming Hsieh Department of Electrical Engineering, were among 65 newly elected members of the National Academy of Engineering announced in Washington, D.C., on Feb. 6. Professor Robert Bau passed away on December 28, 2008. He was an esteemed faculty member of the Chemistry Department for nearly 40 years. Professor Bau is survived by his wife, Margaret Churchill; three children from his first marriage, daughter, Christina; sons, Alexander and Philip, of Los Angeles; and his Mother, Maria Lourdes Bau of Hong Kong. James C. Warf, a professor emeritus of nuclear chemistry, died Nov. 7. He was considered a “citizen scientist” for his work towards world peace. He was 91. Nicos Petasis received the 2009 Arthur C. Cope Scholar Award from the American Chemical Society. The award honors excellence in organic chemistry and is one of the most prestigious prizes in the field. Petasis is the first USC recipient of the award and was chosen “for the discovery and development of new organic reactions… and for advancing the chemistry and biology of lipid mediators”. Please visit http://www.usc.edu/uscnews/stories/15572.html for a complete article by Carl Marziali. Arieh Warshel challenges ingrained ideas on how catalysts work in an article published in the PNAS Early Edition. His model shows that a natural enzyme and its engineered, structurally different counterpart both have the same catalytic power, despite being very different from each other. The engineered enzyme takes the shape of many keys, with all fitting electrostatically in the same lock. Please visit http://www.usc.edu/uscnews/stories/15519.html for a complete article by Carl Marziali. Anna Krylov provides the first solid proof for the simultaneous break-up of a molecule into three equal parts. Previous studies of so-called “concerted break-ups” had only suggested their existence, says Anna Krylov. Her findings are published in the August 8 issue of Science. Please visit http://www.usc.edu/uscnews/stories/15503.html for a complete article by Carl Marziali. Arieh Warshel was admitted as a Fellow of the Royal Society of Chemistry, a well deserved honor. Warshel's research covers a wide range of problems in modern biophysical chemistry. He and his coworkers have pioneered several of the most effective models for computer simulations of biological molecule. Clay Wang, a joint Professor with the School of Pharmacy, along with Berl Oakley of Ohio State University and Nancy Keller of the University of Wisconsin-Madison received a five-year NIH grant of $4,910,613 to conduct collaborative research on natural compounds, which have the potential to offer new chemotherapies and antimicrobials. Please visit http://www.usc.edu/uscnews/stories/15285.html for a complete article by Kukla Vera. Chi Mak was awarded the USC Provost’s Prize for Teaching With Technology. The prize honors Mak for “implementing a system of online computer-aided instruction that uses a screen and voice-capturing program to record lectures and step-by-step guides that show students how to solve complex chemistry problems”. Please visit http://www.usc.edu/uscnews/stories/15249.html for a complete story by Mary Bruce. Nicos Petasis and Charles Serhan of Harvard’s Brigham & Women’s Hospital developed new, potent anti-inflammatory agents that may fill the void left by Vioxx. Their findings are published in the February 15 issue of the journal Bioorganic & Medical Chemistry Letters. Please visit http://www.usc.edu/uscnews/stories/14876.html for the complete article by Carl Marziali. 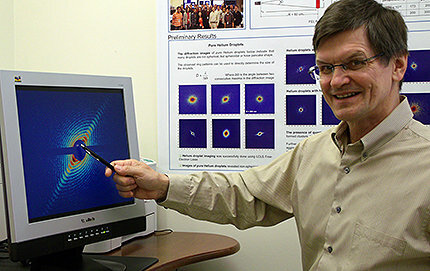 Daniel Lidar was elected fellow of the 46,000-member of the American Physical Society. Lidar, who joined Chemistry in 2005, was recognized for his contributions in quantum information processes. He is the director of the Center for Quantum Information Science and Technology. Please visit http://www.usc.edu/uscnews/stories/14718.html for the complete article by Eric Mankin. 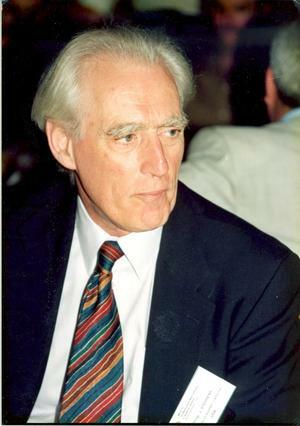 The Journal of Theoretical Chemistry Accounts honored Philip Stephens’ career by devoting an issue this spring to the fields of Magnetic Circular Dichroism Spectroscopy, Vibrational Circular Dichroism Spectroscopy, and Chiroptical Spectroscopy, which he has been responsible for developing. This issue was the idea of former graduate students, Gerard Jensen and Karl Jalkanen. They have been responsible for persuading a very distinguished collection of Stephen's professional friends and collaborators to contribute to this issue. A five-year $2.6 million grant from the National Science Foundation helped Anna Krylov and colleagues to create a new center, which enables more experimental chemist around the world to benefit from the state-of-the-art tools of computational chemistry. Please visit http://www.usc.edu/uscnews/stories/13711.html for the complete article by Eva Emerson. Congratulations to Surya G.K. Prakash! 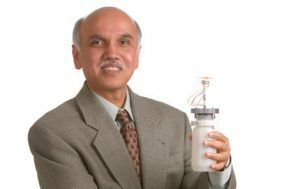 Surya Prakash is the recipient of the 2006 Tolman Award from the Southern California Section of the American Chemical Society. The Tolman Medal is given in recognition of outstanding contributions to chemistry. Mark Thompson, Chongwu Zhou and Richard Roberts were featured in the Spring 2007 issue of the USC Trojan Family Magazine’s Little Big Science. The article describes how biomedical nanoscience may well be just the right size to undertake the biggest bully in human biology, Cancer. Please click on the link above for the complete article by Carl Marziali. Peter Qin received an Early Career Award for Scientists and Engineers from the National Science Foundation. The Early Career Award for Scientists and Engineers places Peter Qin among an elite group of USC faculty recognized for having a great potential in their fields early in their careers. Please visit the link above to access the full-length article by Luisa Montes. Anton Burg, distinguished emeritus professor, died on November 18 at the age of 99 at his home near USC. A leading expert in the study of boron compounds, Anton is credited as being the “father of chemistry at USC”. He came to the university as an assistant professor in 1939, joining what was then an undistinguished department that had not performed significant research. Within a year he was promoted to chairman, and he used his position to turn the department into a major research department by hiring top faculty and acquiring research funding. Among those he hired were Sidney Benson and Arthur Adamson, who went on to become world-renown leaders in their fields. Anton Burg’s real passion, however, was studying boron compounds, a field in which he was a pioneer and a leader. He synthesized many boron compounds that eventually found wide use in organic chemistry as tools for creating more complex molecules. Among his many graduate students was Herbert C. Brown, who went on to win the Nobel Prize. 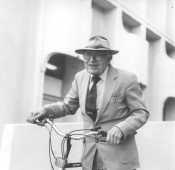 Burg remained active in research long after he had officially retired and maintained a productive lab until he was in his nineties. A bicyclist who never drove a car, Burg was both a scholar and a nationally ranked track star as a student at the University of Chicago. Burg never married, and the department and the university were his home for many years. His 90th birthday celebration was a festive occasion for colleagues and former students to celebrate his life in science. As always, he entertained his audience by reading some of his limericks, which were gathered by his colleagues in book format. An article for the USC Chronicle written by Eric Mankin in 1994 for this occasion describes in lively detail Burg’s colorful life and quotes colleagues who knew him well.